Back Row (L to R): L. Fraher, D. McGregor, M. Organ, F. McGovern, T. Whelan, M. Hogan, A. Kiely, D. Ruske. Front Row (L to R): J. Leahy, J. Power, J. Morrissey, J. Enright, B. Mulcahy, T. Whelan. 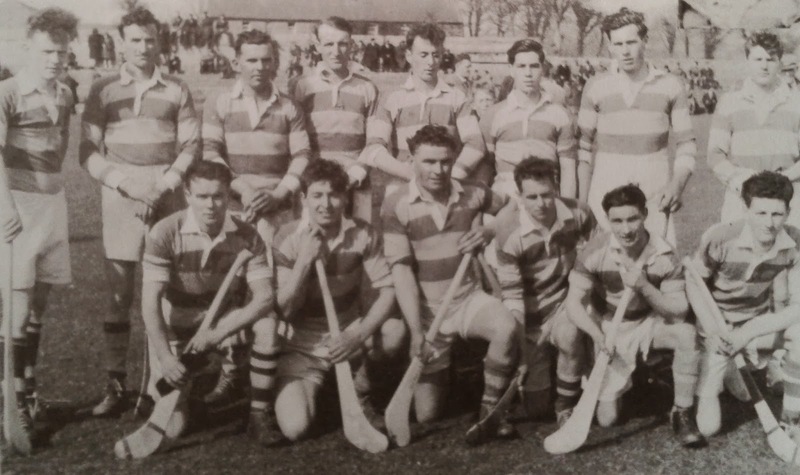 This week's photo shows the Abbeyside Junior Hurling team that defeated St. Garvan's, 2-4 to 1-5, in the first round of championship in April 1955. The team followed this victory with a comprehensive win over Coher Ramblers in the next round. Interest in the competition was ended in round three by Fourmilewater who scored a big win over the Villagers at Lismore.